Ryan Moeller is another safety from the Pac-12. 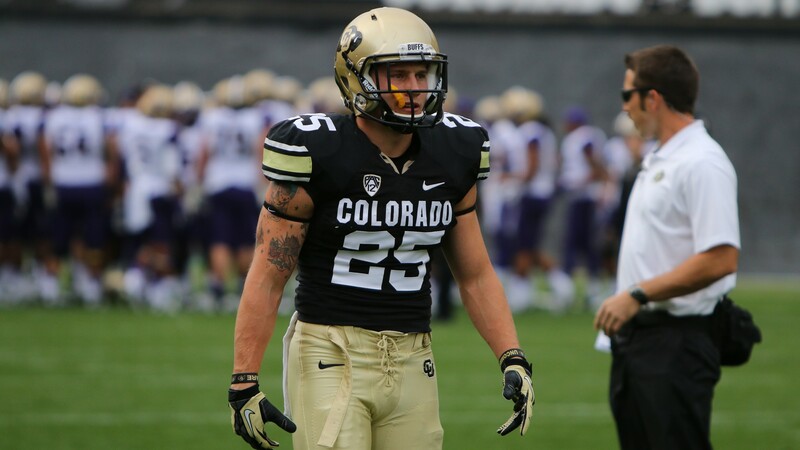 He played with the University of Colorado from 2013 to 2017. He joined the Buffalos as a recruited walk-on and got his first start due to injuries during his redshirt freshman year. He played in a total of 43 games, starting for 31 of them at his unique strong safety/outside linebacker that is called “Buff Linebacker”. Most of the time he would be lined up in the box, but about a quarter of the time he would be lined up deep. Coming out of college, he went undrafted in the 2017 draft before getting a minicamp invite from the New York Giants. After redshirting his freshman year, Moeller was a special teams guy until injuries forced him into a starting role for two games at the free safety position. After that, he became the starting strong safety for seven games before suffering a motorcycle accident that sidelined him for the rest of the season. Moeller totaled 47 tackles, three pass breakups, his only career interception, and one forced fumble on the year. So while he sat out for the last half of the season, he still put up good numbers on the season. In his junior season (2016), he stayed healthy the entire year and totaled 64 tackles, four tackles for a loss, one pass break up, and 2 forced fumbles. His most productive year statistically, it still seemed as if he took a step back from his previous season. However, he only played 444 defensive snaps compared to his 376 from the season before. He was also first-team All-Pac-12 as a special teams player. His senior year he played the first 10 games at the “Buff Linebacker” spot, switching between an in-the-box role and a free safety role. He played 516 total defensive snaps, and over all of his snaps that season he totaled 58 total tackles, one tackle for a loss, a fumble recovery, and three pass breakups. His career numbers were 156 total tackles, seven tackles for a loss, eight pass breakups, one interception, and three forced fumbles. One thing that stood out to me on film was that Moeller shed blocks exceptionally well for someone his size (6-foot-1 and 215 pounds). His strength (19 reps of 225 at bench press) and short area explosiveness (34-inch vertical and 10 foot 3-inch broad jump) allow him to get off of blocks quickly and make plays in the run game. It’s probably the reason Colorado used him in his unique linebacker/safety role. I really am not sure how well he will fare against the pass. He only has eight pass breakups over his career and only one interception, so his ball skills are untested. He also rarely played while moving backward during his time in Colorado, which is something you have to be able to do as a safety, and there isn’t any real evidence of him doing that. While his ability on special teams is admirable and useful despite his slower 40 time (4.63 seconds), that impact is limited in the AAF. Next is Jordan Martin, a safety and cornerback who spent time at both the University of Toledo and Syracuse. He struggled with injuries his entire career, only playing a full year for in 2013 and 2016. He played corner at Toledo before transferring to Syracuse for his last year of eligibility. He last played free safety at Syracuse in 2017, totaling 5 starts over 7 games played. He went undrafted in 2017 and then was invited to the New York Jets’ Minicamp. With San Diego, he is listed as a cornerback, but has safety capabilities as well. He started out as a backup corner and special teams guy at Toledo, only starting one game at cornerback in 2013. He also had the only interception of his career in his NCAA debut against Missouri. His final stat line from his freshman year was 24 total tackles, two pass breakups, his only career interception, and one forced fumble. He finally began starting in his sophomore season, starting eight of the 10 games he played in before injuries started. Martin missed the final three games of the season due to injury, a trend that wouldn’t end here. He had 26 total tackles, four tackles for a loss, and four pass breakups in 2014. He was never a statistical monster, but he began to show a knack for the position. His ball skills weren’t amazing, but he was fearless when coming downhill. His 2015 season was cut short due to an ACL injury that kept him out the entire year. In 2016 he came back and played 13 total games, but only started five of them. His only fully healthy season since his ACL injury, he totaled 24 tackles and four pass breakups. After his junior year at Toledo, he transferred to Syracuse for his senior year where he was switched to free safety and played eight total games, starting in five of them. He was a member of the ACC All-Academic Team and a semifinalist for the William V. Campbell Trophy, or the “Academic Heisman”. He was also invited to the 2018 East-West Shrine Game. His career stats were 99 total tackles, four tackles for a loss, 14 pass breakups, one interception, three forced fumbles, and one sack. Martin has the size (6-foot-3 and 205 pounds) and athletic ability to be a good defensive back, but the numbers on the field don’t really show that. He showed some signs of struggling with tackling, missing a total of seven tackles over the year. While on the field, he showed good speed when going downhill and from hash to sideline thanks to his decent speed (4.51 second 40). He is also an explosive athlete, with a 37-inch vertical and 10-foot 10-inch broad jump. But this physical gifts and size don’t seem to translate when he is on the field. If he can put it all together and stay healthy, he can be a force. Demetrius Wright is the oldest safety on the team at 27 years of age. 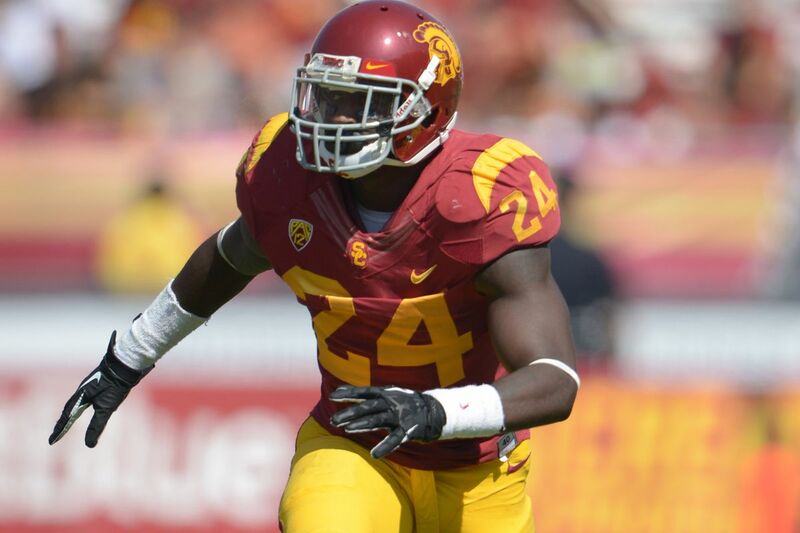 He played free safety at USC for four years, only starting his senior season. After starting all 14 games of his senior year, he went undrafted and was with the Miami Dolphins for part of training camp. 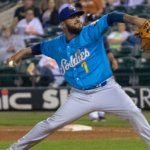 After that, he spent time in the CFL with the Winnipeg Blue Bombers in 2015 and the Edmonton Eskimos in 2016. He hasn’t been around a pro team since then, but he does train football players as the CEO of D1 Factory Athletics. His freshman, sophomore, and junior years of college were rather unproductive for Wright, as he spent most of his time as a special team player and backup safety. He appeared in a total of 26 games, totaling 28 tackles. Going into his senior season, he was in a position battle for the starting safety spot. He won the battle and went on to start 14 games in 2013, totaling 59 tackles, two and a half tackles for a loss, and three pass breakups. He played well during his senior season, but wasn’t the star on a defensive unit that was ranked first in pass defense and second in rushing defense in the PAC-12 in 2013. Wright plays faster than his 4.68 second 40 time. He is a downhill safety who thrives in run defense. His size (6 foot and 205 pounds) is great for a safety and while his 40 wasn’t impressive, he still showed strength and explosiveness with a 34-inch vertical and 20 reps at 225 for the bench. These numbers were a little under five years ago though, so we should all take them with a grain of salt. While playing football isn’t like riding a bike, I do think Wright can still play football at the high level he did while at USC. I like his ability to drive on ball carriers and make sound tackles, but his ability to play while moving backward is questionable and so are his ball skills. He didn’t have a single interception in college and only three pass breakups in his career. He has probably developed some more over the past five years, so my hope is that he can emerge as a leader in this group. But until I see more, he is going to be a guy on the bubble for me. The last of the safeties, and our second San Diego State alum in the group, is Kameron Kelly, who isn’t even going to be playing safety for the San Diego Fleet. As this is being written, Kameron Kelly has undergone the change from safety to wide receiver. A safety and a corner during his time at San Diego State, he hasn’t played wide receiver since high school. Many of us at EVT were considering him the best defensive back of the group, so his move from safety to wide receiver is a curious one. I plan to look more into his chances of making it as a receiver and its impact on the team as a whole in a future article. Two scenarios seem likely for the Fleet when it comes to how many safeties they will have on the team once final cuts are over. In the last positional breakdown, Diego Solares points out two possible scenarios. Three cornerbacks and five safeties or four cornerbacks and four safeties. With the departure of Kameron Kelly from the safety group, I think the Fleet go with four cornerbacks and four safeties since the defense is losing a guy that can play both at a high level. When it comes to who claims those four spots, Matovu, Martin, McGee, and Wright are the safeties I expect to make the roster. Matovu and McGee are who I expect to be starting week one against the San Antonio Commanders. While Matovu and McGee aren’t the most experienced, they bring the most to the table when it comes to skills. Matovu and McGee can play both safety spots at a pretty consistent level and that should allow the coaches more freedom while game planning. Jordan Martin is the next guy on the depth chart if he can stay healthy. Martin is naturally a cornerback, but could be a good roll-down safety that bounces all around the defensive back group. His size and athleticism should counteract the fact that he wasn’t productive in college. If Martin can stay healthy and learn how to make plays, he could show some promise as an all-around tool for the Fleet. The last of the four safeties would be Demetrius Wright. Wright has the most pro experience of the six safeties on the roster, and is the oldest. An older, veteran guy in the group can’t hurt. He was also listed as a free safety at USC, although he looks more fitting for a strong safety role. I haven’t seen much of him, so Wright could be anywhere from a starter or cut. I think Tyler Thornton and Ryan Moeller are the least likely to make the roster. While Thornton fills a need as a natural free safety, his lack of size and true “burner” speed (a 4.4 second 40 or less) will make it tough for him to claim a roster spot. His skills as a return man are certainly useful, but there are other guys on the roster who can do that. If Thornton’s nose for the football (20 career takeaways) shows through camp, he could snag a roster spot from either Wright or Martin. With multiple guys ahead of him playing both free and strong safety, Moeller is going to have a tough time making the roster. He has a unique skill set, being a great special teamer and fantastic against the run, but I think his coverage skills will limit his impact on a defense with no specific role for a safety who is just a run defender. 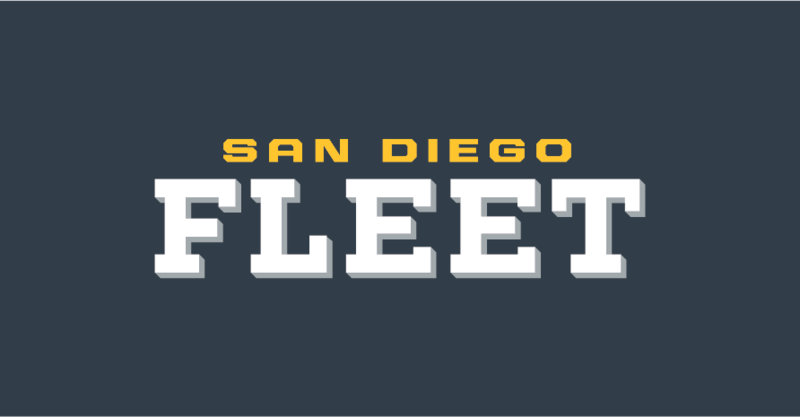 If the San Diego Fleet go with five safeties, which I think is unlikely, the fifth one will be Thornton. I think he edges out Moeller because he can do more on defense, and an extra return man never hurts. 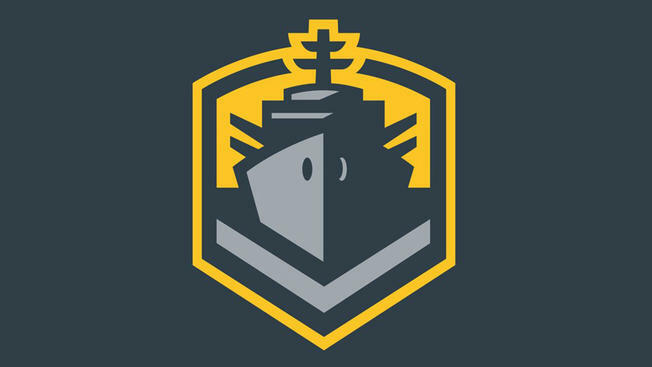 Diego Solares stated earlier last week that cornerback wasn’t a strong position for the San Diego Fleet, and I don’t think that this safety group is going to be much help. What this group has in run defense, they lack in the ability to stop the pass. Eric Allen, the Fleets’ defensive backs coach, has his work cut out for him in the 2019 season.